At the Salford Together Big Event we celebrated the end of the Big Health and Social Care Conversation. Hundreds of people who pledged to help transform health and social care in the city. System leaders, front line staff and citizens all signed up to make a change and take responsibility for their own wellbeing. 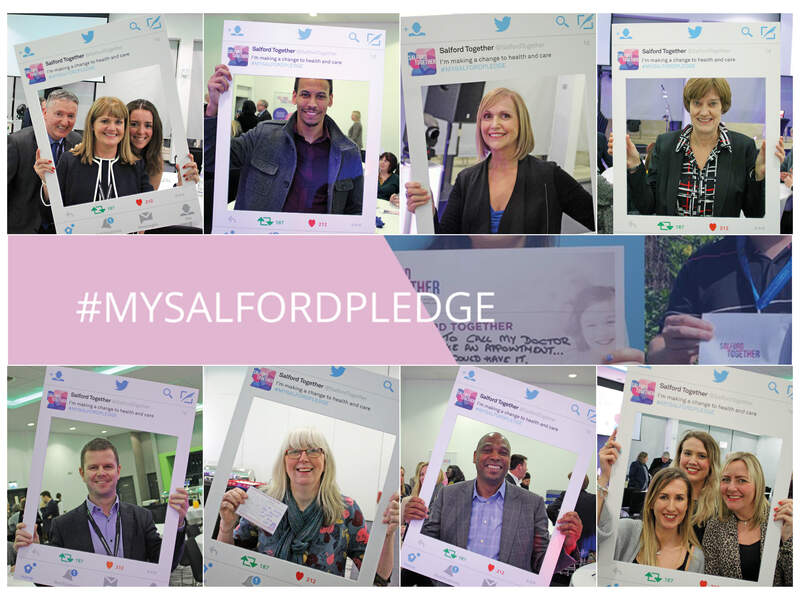 If you pledged as part of the Big Conversation, we want you to bring your pledge to life on social media. Share your pledge with us, your updates since pledging and why not show us your pledge in action? We want to see your photos and videos, taking the stairs instead of the lift, walking to work or swapping your sweet treat for a healthy snack! System leaders were also captured describing the part they’re going to play as we build on the results to ensure Salford’s transformation programme continues to grow and evolve. If you’ve not yet made your pledge, it’s not too late. Join us today!